Whether you have adopted a baby bird, or rescued an injured one, you need to be especially careful in order to feed a bird correctly. 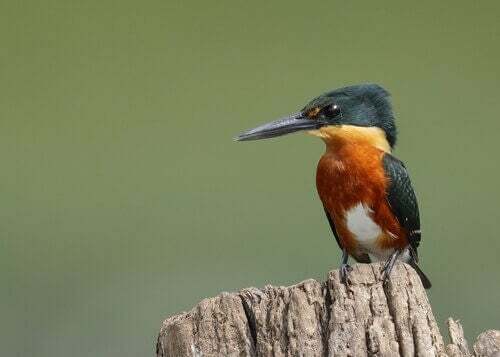 During a walk in the countryside, or even on the outskirts of the city, it’s relatively common to find a wounded bird. 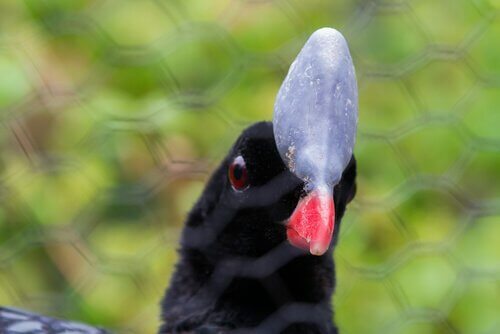 Although, at first, you might be afraid to touch it, with our help, you can give the injured bird the chance to survive. If it’s a very large or aggressive species, it’s best to call a wildlife expert. 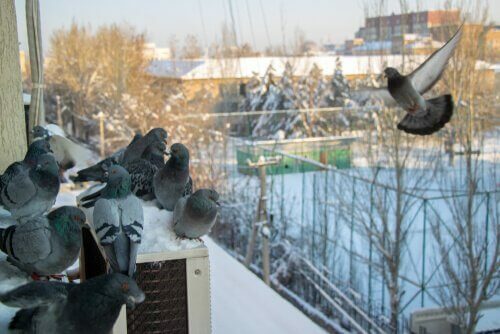 However, you can help pigeons and small birds by providing first aid, food, and warmth. Of course, these emergency procedures can’t replace veterinary care. For that reason, it’s important to take the bird to a veterinary specialist to check on its health. In addition, we’ll give you some tips to feed and hydrate a bird correctly. Why is it important to feed an injured bird? When we find a wounded bird, we have no way of knowing how long the animal has been waiting for help. 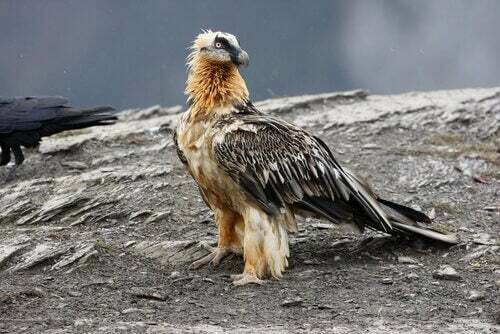 In some cases, the bird may be injured, and hasn’t been able to fly or move, for several hours or days. In addition to feeling pain and fear, the bird probably hasn’t eaten or had water for a long time. As a result, its body will be weak and more vulnerable to many diseases. Therefore, you’ll want to prevent it from suffering from malnutrition or dehydration. The bird probably won’t want to eat food as soon as it has been rescued or when it arrives at your home. That’s completely normal, considering the fact that the animal has experienced very stressful experiences in a short amount of time. Therefore, you shouldn’t force the bird to eat food against its will. However, it’s important to make sure he gradually eats some food, so that he can regain his strength and recover successfully. The first thing to keep in mind is that the bird is a wild animal, and it’s not used to living with people. 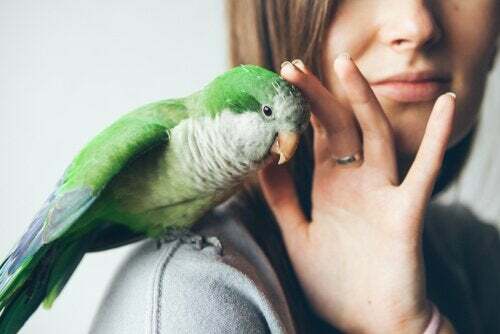 You can’t expect the bird to be confident and relaxed around you. In the first few days, the bird will most likely be frightened and won’t approach you. Remember that mistrusting strangers is essential in order for animals to survive in nature. To take care of it effectively, you’ll need to be very careful, gentle, and patient when you feed it. Don’t make sudden movements or loud noises. In addition, you should approach the animal slowly and gently. Since the bird’s stomach hasn’t received food for some time, its first few portions should be minimal. If the bird eats a lot at once, after spending many hours or days without eating, it’ll probably vomit or have digestive problems. To make sure that the animal eats enough food, give him these minimal portions several times per day. With four or five daily portions during the first week, your little bird will get the nutrients he needs to strengthen his body. 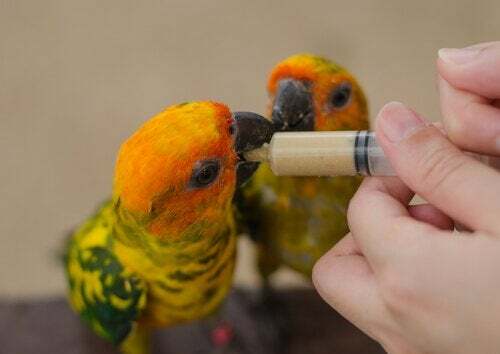 The easiest and most effective method for feeding a bird with small portions is to use a syringe. You can buy a medium-sized syringe in a pharmacy that will allow you to put porridge inside. If you find a chick or a sick bird, it’s best to give it porridge to facilitate feeding. Solid foods are harder to digest, and require the bird to put in more effort to ingest them. In addition, the creamy, lukewarm porridge often whets a bird’s appetite because of its aroma and texture. In pet stores and some veterinary clinics, you can find prepared porridge for pigeons and birds of different species. 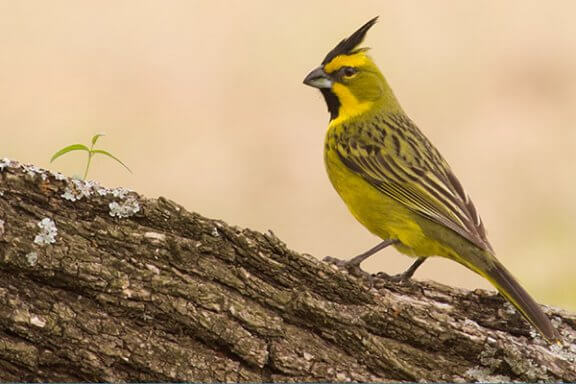 The good thing about these products is that they offer a balanced mix of nutrients that the bird needs to grow and recover its strength and health. You can also make very nutritious porridge at home with sprouted seeds, vegetables, hard-boiled eggs, and even fruit. A good homemade emergency porridge can be made with wholemeal rice or couscous, cooked in water, with thinly grated carrot and hard-boiled egg. 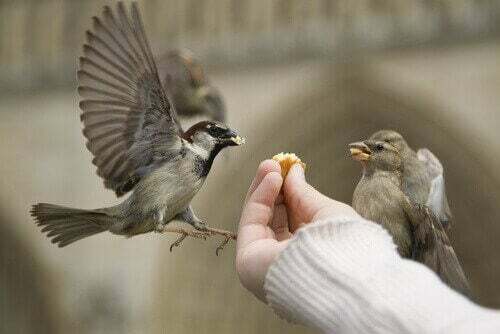 With patience and love, you’ll see that the bird will get used to your presence, and you’ll be able to feed it more easily. As it recovers, the bird will be able to start eating solid food and eat on its own. Once again, remember that it’s important to go to a veterinary specialist to check on the bird’s health. A professional will also be able to help you provide a complete, balanced diet for your new pet.